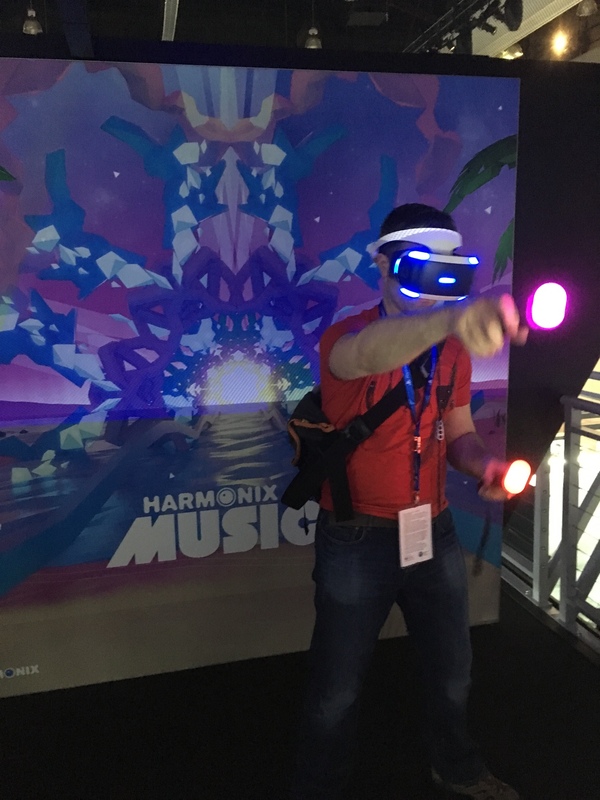 On the show floor and at the press event we had two of the four Harmonix Music VR worlds – The Easel and The Dance. We’d brought The Easel to several shows before, but this was the big debut for The Dance, so I was especially keen on seeing reactions to that one. Most people expected to prefer The Easel, since, to the typical games industry type, “paint in 3D space” is a stronger pitch than “choreograph dance moves for a bunch of funny characters.” But for those who tried both, preferences were very evenly split. Painting in 3D is inherently captivating, especially when combined with crazy musical reactivity, but dance is the oldest form of music visualization, and there is a primal appeal to seeing life-sized bodies moving musically in the same space as you. Moreover, it was interesting to realize that choreography in The Dance is a much more accessible creative activity for a lot of people. Non-artists sometimes feel shy about using The Easel, but anybody can lose themselves while marionetting monsters (not to mention all the other fun activities on offer). 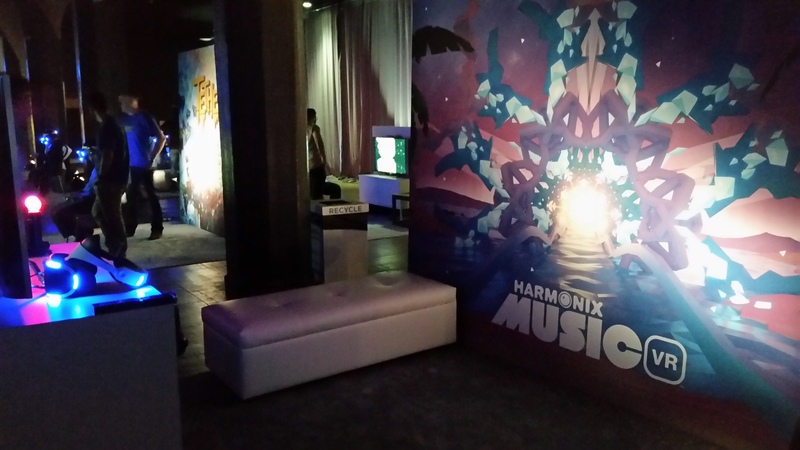 Over the next couple of days, we showed off the entire suite of Harmonix Music VR worlds to a bunch of press outlets. This included our more passive experiences, The Beach and The Trip. Those worlds are all about using VR to help players sit back and enjoy their music, to relax and listen, with varying degrees of psychedelia. 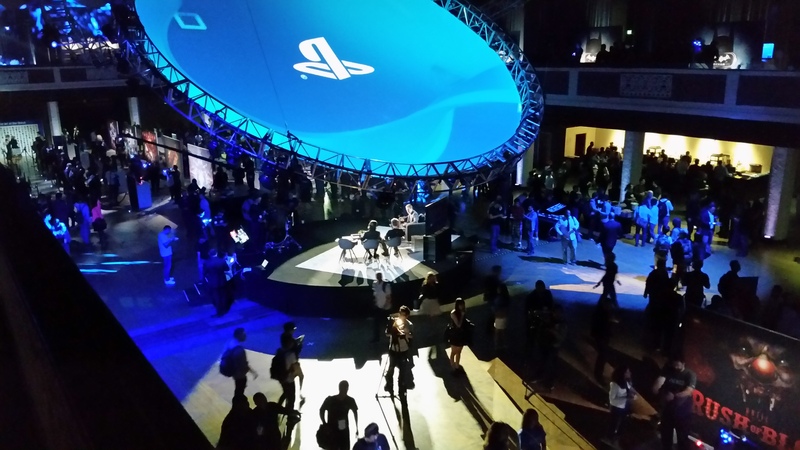 It was super gratifying to walk people through the full breadth of experiences we’re going to offer. One journalist even brought a hard drive of his own tunes to enjoy, so I got to showcase our music analysis tech, too. 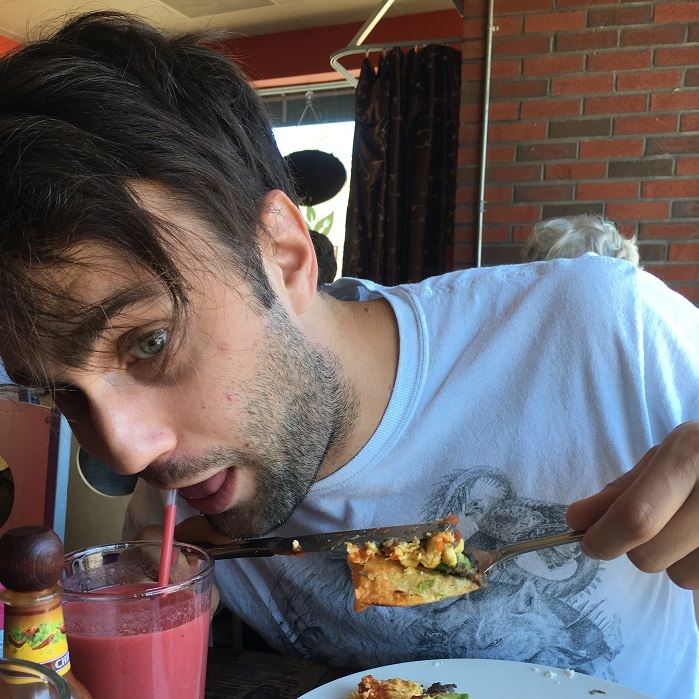 We’ve seen a couple of write-ups surface already, and I’m looking forward to reading more! I’m proud that the team was able to execute a collection of experiences that really showcase the magic of the platform. 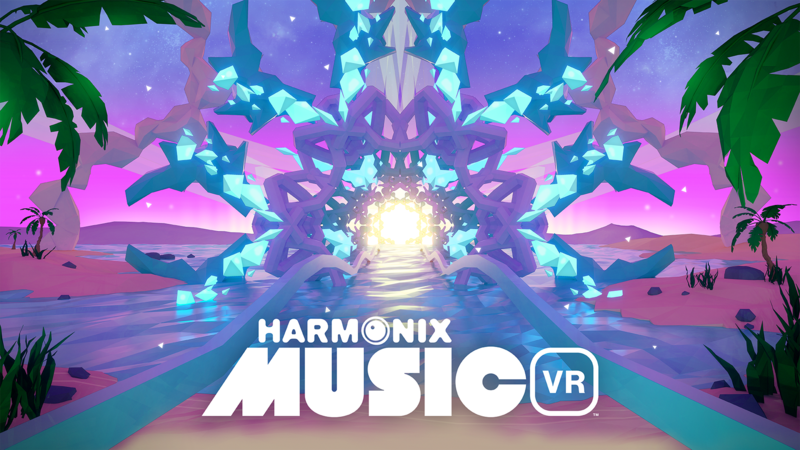 No one expects the Harmonix Music VR worlds to be as unique as they are. Seeing so many positive reactions to all we have to offer just made me more excited to share our baby with the rest of the world, along with PlayStation®VR, on October 13th.